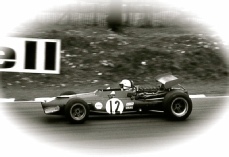 In the history of Formula 1 Grand Prix Motor Racing, BRM and Ferrari are the only constructors to have won the World Championship with a car they built completely themselves including the chassis, engine and gearbox. 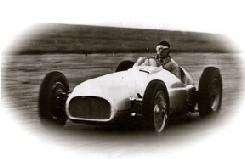 The founder of BRM was Raymond Mays CBE (1899-1980), pre-war racing driver, founder of English Racing Automobiles (ERA) and pioneer of the commercial motor racing industry. His vision of a British Grand Prix Car capable of beating the continental factory teams was achieved, with the backing of Sir Alfred Owen and the Rubery Owen organisation, from a factory in Spalding Road behind his lifetime home Eastgate House in the market town of Bourne, Lincolnshire, with a workforce that never exceeded 120 people. 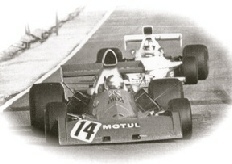 Between 1950 and 1977 the team started in 197 Grand Prix with 17 Victories, 11 Pole Positions, 15 Fastest Laps, 1 Drivers World Championship and 1 Constructors World Championship. 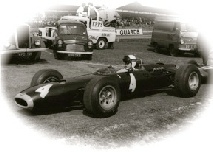 Graham Hill's 1962 World Championship was the first time a British driver had won the World Championship in a British car . 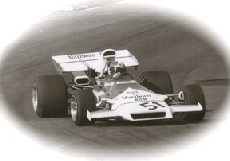 Peter Gethin's 1971 Italian Grand Prix victory at Monza was the fastest Grand Prix of the 20th Century at an average speed of 151mph . Six World Champions drive for BRM: Juan Manuel Fangio, Mike Hawthorn, Graham Hill, Jackie Stewart, John Surtees, Niki Lauda. Other notable drivers included: Froilan Gonzalez, Stirling Moss, Jo Bonnier, Pedro Rodriguez, Jo Siffert, Peter Gethin, Jean-Pierre Beltoise. BRM designed, built, developed and raced 4, 8, 12 & 16 cylinder engines, opting for unconventional 16 cylinders on two occasions. The 1940s designed 1.5-litre V16 produced more than 600bhp and was the first engine in history to rev above 10,000rpm. Drivers could spin its wheels effortlessly at speeds in excess of many other cars maximum. 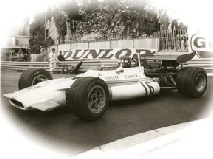 The ear shattering exhaust notes have ensured its reputation as arguably the most audibly iconic Grand Prix car of all time. 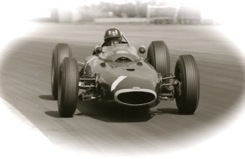 The 1960s 3.0-litre H16 which proved over complex and suffered from a poor power to weight ratio, has since become to be regarded as a remarkable engineering achievement, particularly as it was designed, built, developed and raced by such a small company. In addition to the Grand Prix programme, BRM built a Gas Turbine car in conjunction with Rover which ran at Le Mans in 1963 & 1965 and completed the 24 hours on both occasions. In 1970-71 BRM built and entered 8.0-litre prototype sports cars for the North American Can-Am series and European Interseria series.